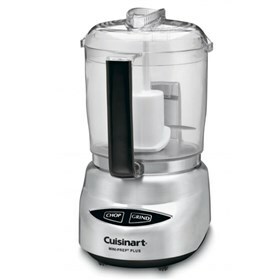 The Cuisinart DLC-4CHB 4-Cup Mini Prep Plus Processor is an ideal applaince for everyday food prep in the kitchen. The chop function works great for chopping, pureeing, mixing and grinding. The Processor is used for grinding spices and for chopping hard foods. It comes with a unique Auto-Reversing Smart Power Blade& #8482; which works in two directions i.e. one direction to chop and in the other direction to grind. The 4-Cup Mini Prep Plus Processor Brushed Stainless Finish has many exciting features for users of all types. You can extend the lifetime of your 4-Cup Mini Prep Plus Processor Brushed Stainless Finish with the purchase of a FactoryOutletStore Factory Protection Plan. See the 4-Cup Mini Prep Plus Processor Brushed Stainless Finish gallery images above for more product views. 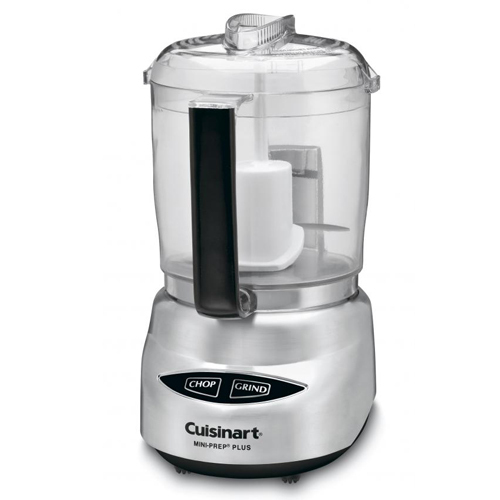 The 4-Cup Mini Prep Plus Processor Brushed Stainless Finish is sold as a Brand New Unopened Item.